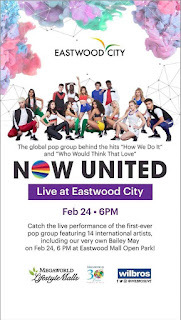 The biggest event of the season makes its highly-anticipated debut in the Philippines! 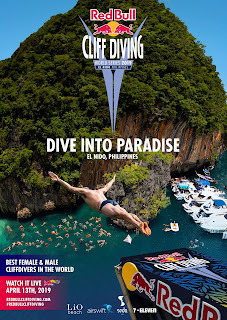 Red Bull Cliff Diving World Series kicks off its 11th season in El Nido, Palawan, on April 12th – 13th, 2019. This year, the Red Bull Cliff Diving World Series makes its regional debut in three brand new locations on its seven-stop global tour: April 13 – El Nido, Palawan, Philippines – (NEW)May 12 – Dublin, Ireland – (NEW)June 2 – Polignano a Mare, ItalyJune 22 – São Miguel, Azores, PortugalJuly 14 – Beirut, Lebanon – (NEW)August 24 – Mostar, Bosnia and HerzegovinaSeptember 14 – Bilbao, Spain Twenty-four (24) professional male and female cliff divers from eighteen (18) nationalities take off for the clear emerald waters of the Small and Big Lagoon in Miniloc Island, including record champions Rhiannan Iffland (AUS) and Gary Hunt (GBR). However, each stop will feature four (4) wildcard divers seeking to earn their way up the ranks. 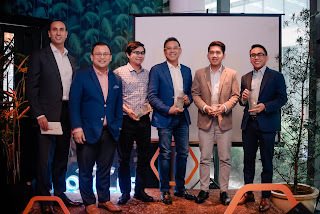 Santé Fitness Lab and Santé Lacuna Swim School announce today its partnership in a bid to strengthen their drive in sports development particularly in swimming at Relish Luxe Café in Pasig City. 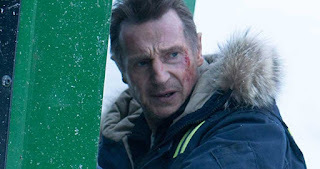 Universal Pictures has just unveiled the new one-sheet artworks for three of its highly anticipated films of the year -- the suspense thriller Ma starring Octavia Spencer, the rock-and-roll comedy Yesterday and the animated comedy adventure Abominable. We know IQ is Intelligence Quotient, EQ is Emotional Quotient, but AQ is a new term I just encountered. And this one is important to kids because it means Animal Quotient. Yes, we need to have an awareness of how we know animals and how to take care of them. Raising kids having good knowledge and values towards living things is indeed a great trait for every child. 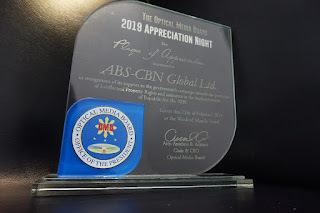 Since TV is one of places where kids learn and understand the world, we continue to look for child-friendly channels and shows suited for them. Since the online world is a very risky place, we would resort to TV particularly cable. New, Exciting Actors Form an Unlikely Team in "Escape Room"
Estancia in Capitol Commons continues its passion for the arts with staging an art exhibit that features more than 100 artists. 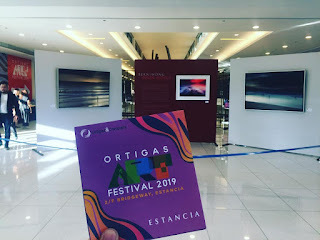 Dubbed as Ortigas Art Festival, the celebration of artistry through paintings, sculptures, and photography showcases various art groups with diverse themes, designs, and mediums. This 2019 is the second year of the art fair and it wanted more artists to come on board and spread their works for mall goers to see. Estancia is also the perfect place with their wide walkways and spaces that can host the numerous artworks. Get ready for a mind-blowing psycho thriller as the latest SM Cinema offering, Escape Room, showcases puzzles, screams, and deaths. 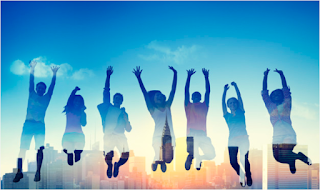 Everyone definitely loves to join a game with a huge cash prize, but what if in the middle of the game, you discover that your life is at stake, and there is no way out? This is where Escape Room starts. Six strangers take a challenge, and enter a mysterious escape room where they have to solve a series of puzzles in order to win a huge amount of money. However, as they continue to solve the puzzles, the simple game turns out to be an elaborate life-threatening trap. How will they survive this deadly game? 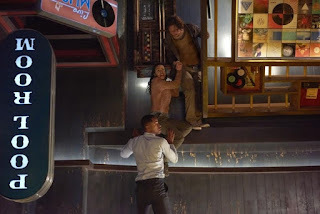 Directed by Adam Robitel, Escape Room features actors Taylor Russell as Zoey Davis, Logan Miller as Ben Miller, Deborah Ann Woll as Amanda Harper, Jay Ellis as Jason Walker, Tyler Labine as Mike Nolan, and Nik Dodani as Danny Khan. America Ferrera Inspires as Astrid in "How to Train Your Dragon" Finale, "The Hidden World"
Visionary David LaChapelle has created some of the most iconic imagery in Elton John’s career, and now turns his lens on the “Rocketman” film poster, with Taron Egerton as Elton John. 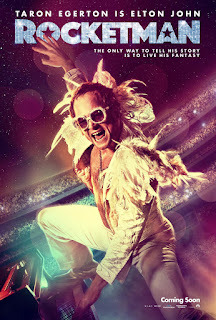 This image captures the originality and cinematic scope of “Rocketman” as well as the spirit of the icon that is Elton John. 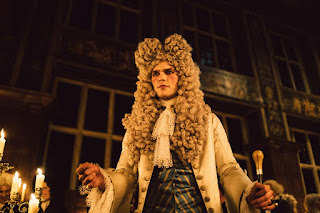 “Rocketman” hits Philippine cinemas in June, but here is the first behind the scenes look at Taron Egerton recording ‘Tiny Dancer’ for the soundtrack. 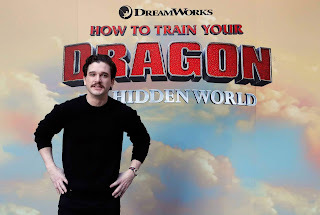 "Game of Thrones" Hero Kit Harington Back as Eret in "How To Train Your Dragon: The Hidden World"
Even though he joined the How to Train Your Dragon series in the second film, Kit Harington has become as much a member of the Dragon family as any other. 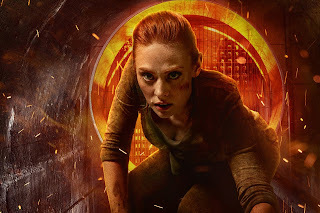 Women Characters Have Each Others' Backs in "Escape Room"
“I think so many genre films pit women against each other, they get catty and competitive, especially over the boys,” says Deborah Ann Woll, who plays Amanda, an army infantry woman who was wounded in action during an IED explosion and now lives with ongoing trauma. Siargao has witnessed a major spike in tourism in recent years because of avid Filipino and foreign surfers flocking to the surfing capital. Because of this, many local children have also developed a passion for the water sport. Seeing this desire among the local youth, a group of dedicated individuals were inspired to put up the Sun Crew, using surfing as a tool to make a positive change in the lives of the island’s locals. 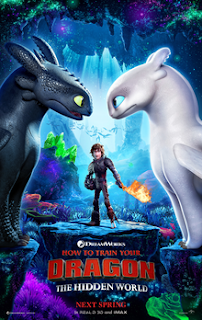 How To Train Your Dragon 3 The Hidden World - The Fitting Finale? After almost a decade, the successful film franchise of How To Train Your Dragon will finally have its conclusion with The Hidden World. 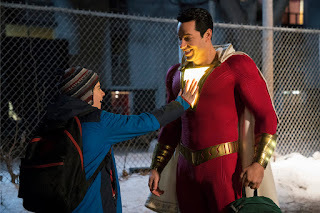 Based on the series of book by Cressida Cowell, the franchise has also produced TV and streaming series that complemented the films. Now that everything is coming to place, it is fitting for it close with a epic ending. Hiccup and Toothless has been the best buds throughout the years and seems inseparable. But they do need to grow up and make a bold move to save the village and the dragons who are still constantly hunted. This time they will face Grimmel who aims to get rid of all dragons. The movie has progressed from the goal of befriending dragons to save and train them in their town of Berk. Hiccup has also grown drastically with the events of the last film. Though it is still OK if you haven't watched the filler episodes which are mainly for side entertainment and added detail to them. 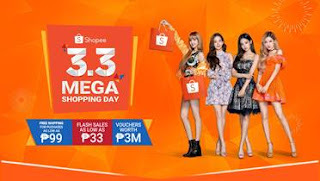 In the wake of its first two viral videos “Adulting” and “Tipidity,” MEGA Sardines, the Number 1 sardines brand in the Philippines, treads lightly into 2019 with “First Day,” its third short film under its #MegaGandaAngBuhay trilogy. “First Day” tells the story of Joseph, an idealistic, fresh-out-of-college young man from Cebu (played by Jindric Macapagal) who is caught in an awkward situation on his first day at work in a Makati office. 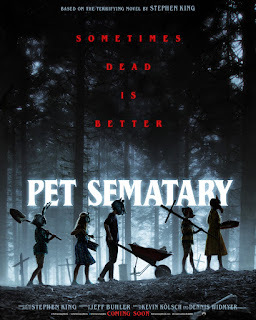 New Spooky Posters Up for "Us," "Pet Sematary"
Check out the one-sheet artworks below and watch Us in Philippine cinemas March 20, and Pet Sematary on April 03. 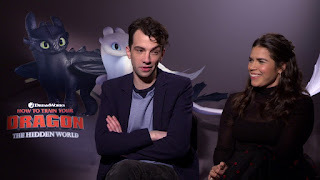 Jay Baruchel Lends Voice to Hiccup One Last Time in "How To Train Your Dragon: The Hidden World"
"Insidious: The Last Key" Directir Elevates Horror Genre in "Escape Room"
Adam Robitel, the director of Columbia Pictures’ new suspense thriller Escape Room, sure knows a thing or two about creating horror hits for the big screen. 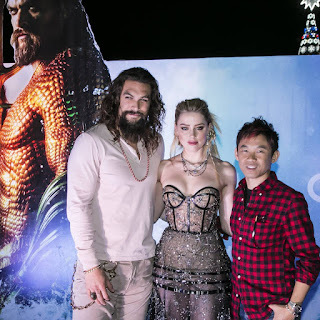 After all, Robitel directed the record-breaking Insidious: The Last Key, which has grossed a whopping $167 million worldwide. 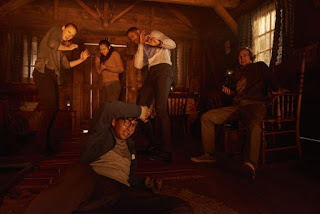 Escape Room began when producer Ori Marmur first tried out an escape room with his family and saw a potential for a film that plays out as much as a psychological thriller as a horror movie, by featuring an escape room with a twist. From the producers of the Fast & Furious series, Escape Room is about six strangers who find themselves in circumstances beyond their control and must use their wits to find the clues… or die. People do not always make the right decisions in their lives, and often this leads to life’s “what ifs” or simply called regret. Relive the best of the historic event, ONE: HERO'S ASCENT! It was another memorable ONE Championship event held on 25th January 2019 with Filipino Superstar Geje "GRAVITY" Eustaquio versus Brazilian Adriano "MIKINHO" Moraes competing in the first-ever trilogy in ONE history in the main event for ONE: HERO’S ASCENT! 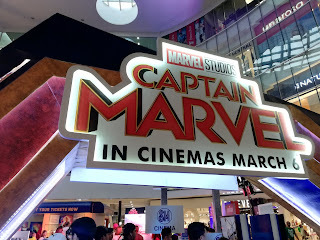 February 14 was not only for Valentine's but also a day for Marvel fans who are excited as the cast and directors of the upcoming film Captain Marvel comes to Singapore! 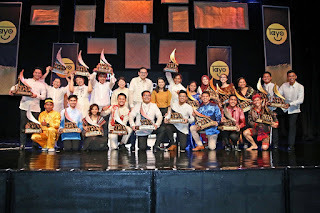 The celebration was also felt in Manila with a special exhibit at the Block SM north EDSA. Bringing the vibe of the film, SM Cinema built stations at the activity center which lets the public experience the movie in different ways like a photo station, games, merchandise, and one for GMovies. 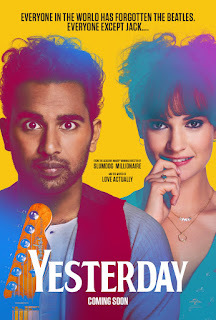 Prepare for a great day or night out as Crystalsky Multimedia brings three new SM Cinema exclusive movies just in time for your movie date this love month! 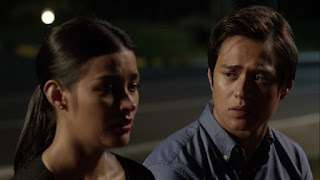 Witness all of life’s great ups and downs in romantic drama film, New Life. 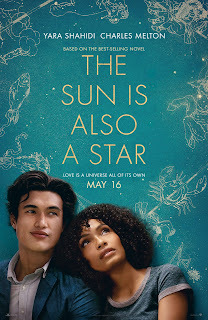 Benjamin (Jonathan Patrick Moore) and Ava (Erin Bethea) have known each other since they were young, with their innocent childhood friendship blossoming and their love growing and strengthening throughout the years. 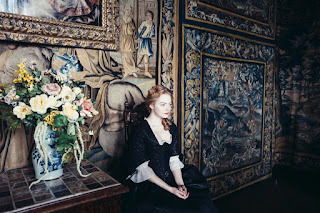 However, they soon learn that life does not always go the way you want it to as their entire future is thrown into uncertainty when their life takes a sudden turn.